Night night tour to The Amazing Australia, including Melbourne, Gold Coast & Sydney. n arrival at Melbourne Airport, our representative will receive and take you to the hotel. Rest of the day is for leisure. During your leisure time you can opt to explore the city and visit State Library of Victoria, City Circle Tram, National Sports Museum, The Ian Potter Centre: NGV Australia and Block Arcade (leisure activities are not included in the package). Stay overnight back at the hotel. After a filling breakfast, proceed for morning tour of the city. Witness some of Melbourne's spectacular architecture including St. Paul's Cathedral and the Princess and Regent Theatres. See the Federation Square and Royal Exhibition Buildings and take a stroll around the Royal Botanic Gardens. Also witness the Fitzroy Gardens. Get a glimpse of Captain Cook's Cottage (entry at your own expense), watch the bustling Queen Victoria Market and Albert Park and visit the Shrine of Remembrance. See the Southbank Waterfront, then cross the Bolte Bridge for great views. 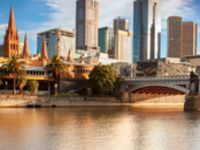 Then enjoy a one hour Yarra River Cruise and take in breathtaking sights of the city as you cruise past picturesque gardens and famous sporting arenas. Then make your way to the Eureka Tower, arrive at Level 88 in the fastest lifts and enjoy amazing views of Melbourne. Rest of the time is free and you can opt to visit ArtVo, The Australian Ballet, Haigh's Chocolates Rialto, National Gallery of Victoria and the Arts Centre Melbourne (leisure activities are not included in the package). Stay overnight at the hotel. 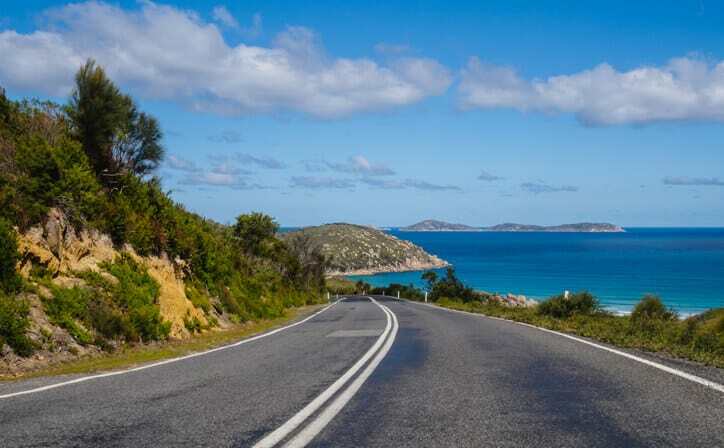 After an early breakfast, travel from Melbourne to the start of the Great Ocean Road, passing through the coastal towns of Lorne and Apollo Bay. En-route, you will also stop over to capture breathtaking views. 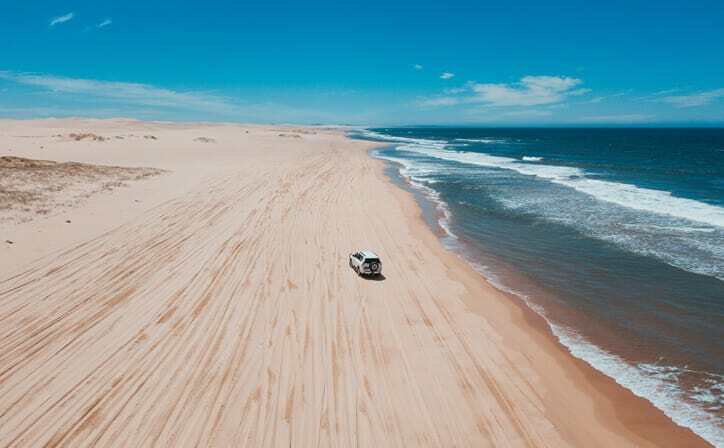 Arrive at the iconic Split Point Lighthouse (the oldest surviving lighthouse in mainland Australia) and enjoy views over the Southern Ocean and Bass Strait. Have a delicious cafe lunch in Apollo Bay proceed to the Shipwreck Coast, historic beaches and the Loch Ard Gorge. Arrive at the 12 Apostles and descend the Gibsons Steps. After a great tour, return to Melbourne and stay at the hotel. After a good breakfast, transfer to Melbourne airport for your flight to Brisbane or Gold Coast. On arrival, our representative will attend to you and take you to the hotel, where you will rest for the night. Have a delicious breakfast and proceed to Dream World. It is the largest theme park in Gold Coast that features over 40 rides/attractions that lure people of all age groups. After a thrilling experience, you will return to the hotel for the night. After a good breakfast, you will proceed to the Sea World. Sea World is one of the most popular theme parks in Gold coast, with interactive dolphin adventures, polar bears in action, seal safari, exciting rides and much more. Stay overnight at the hotel. After breakfast, check out from the hotel and take transfer to Brisbane or Gold Coast airport for boarding your flight to Sydney. Arrive in Sydney and be transferred to the hotel. Check in at the hotel and have the day at leisure. 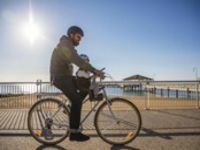 During your leisure time, you can opt to visit the Manly Scenic Walkway, Art Gallery of New South Wales and the State Theatre (leisure activities are not included in the package). Return to the hotel for the night. Have a sumptuous breakfast and go on a half-day tour of Sydney. You will visit the most popular attractions of Sydney such as the Sydney Opera House, Bondi Beach, Sydney Harbour, Sydney Tower Eye with 4D Experience and Skywalk at the Sydney Tower Eye. Return to the hotel and get a good night's rest. After a refreshing breakfast, gear up for a full day tour of the majestic Blue Mountains, along with a visit to the Featherdale Wildlife Park and scenic rides at Scenic World. Enjoy spectacular views from Echo Point and also behold the Three Sisters Rock formations at Katoomba. Get an insight into the Aboriginal culture as you visit the Waradah Aboriginal Centre, situated close to the Blue Mountains. Also get a chance to watch the lovely kangaroos and koalas at the Featherdale Wildlife Park. Stay overnight back at the hotel. Have breakfast and check out from the hotel. Be taken to Sydney Airport for your return flight. Being Australia's largest pair of cities, Melbourne and Sydney both shine as wonderful examples of everything Oz's urban areas have to offer. Yet there are some significant differences between both - and here we attempt to provide an answer. 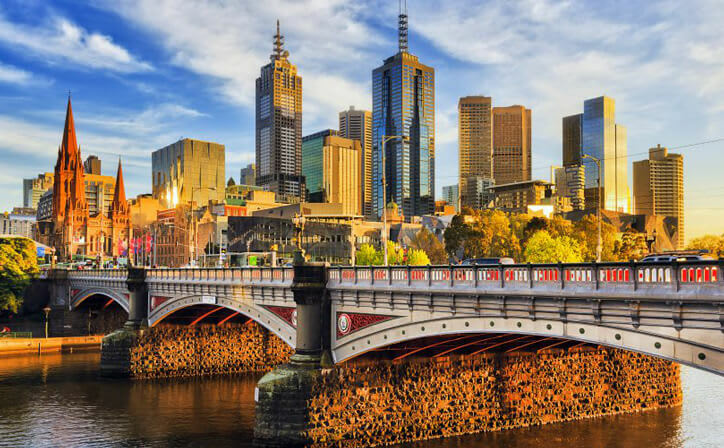 The mesmerising city of Melbourne is known for its lively culture, charming Victorian-era architecture, friendly people and amazing infrastructure. It is not surprising that this Australian city has been continuously named as ‘the most liveable city of the world’. The residents of the city pride themselves in being an integral part of the ‘culture and sports capital of Australia’. The majestic Eureka Tower provides stunning views of the city at night. Venture off the city and be astounded by the natural beauty from the Great Ocean Road. The city of Melbourne always provides it visitors with something new to discover. Known as the Harbour City, Sydney is stretched across sandy beaches and miles of ocean coastline. 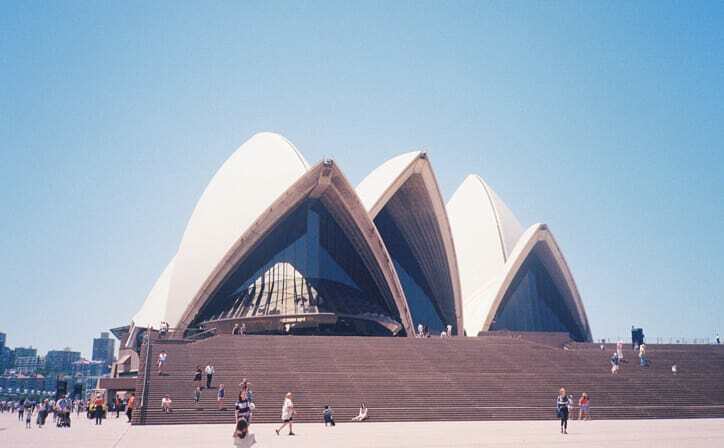 History, culture, tradition, art, fashion, cuisine and nature are in their prime in Sydney. From great opera houses to the serene and calm harbors and beaches, Sydney houses various forms of natural beauty and exquisiteness. The beaches, exotic wildlife, and extensive flora are very famous amongst the tourists. 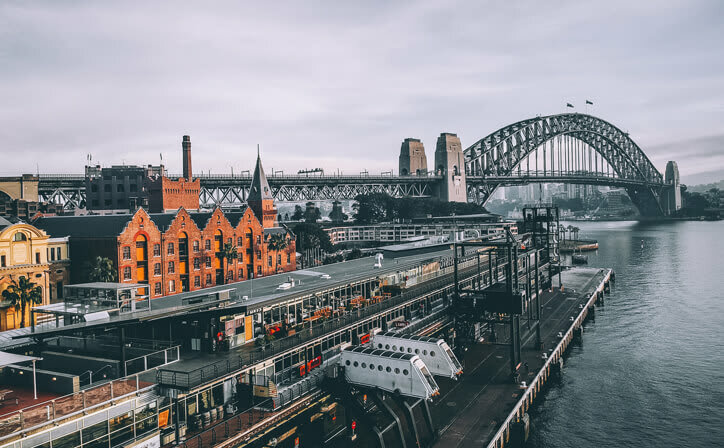 From the rugged Pacific coastline to the hospitable Sydneysiders and from the lively food scenes to the exuberant nightlife, everything about this fabulously enticing city is inviting. There is always something adventurous going on in this city and if you are looking for a thrill, this city has a lot to offer you. Gold Coast is a beautiful coastal city located in the south-eastern corner of the Australian state of Queensland. The state capital, Brisbane lies to its north, and the state border of New South Wales lies to its south. 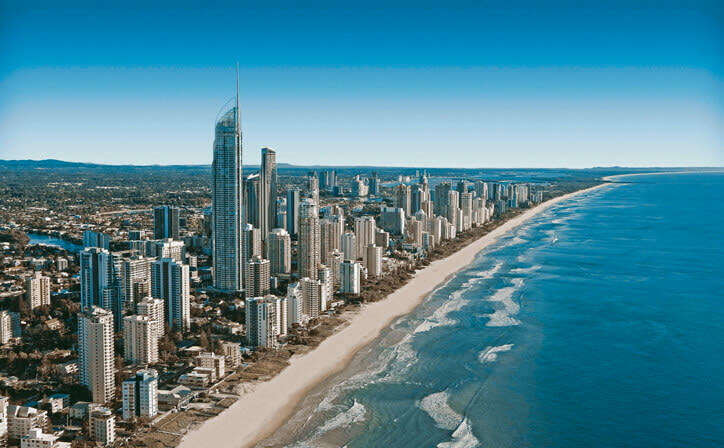 The city has always been a high-profile tourist destination, primarily because of its amazing beaches, including the famed Surfers Paradise. With its sunny climate, shimmering skyscrapers, numerous theme parks, vibrant nightlife and thriving, subtropical hinterland of rainforest, Gold Coast has something for everyone. 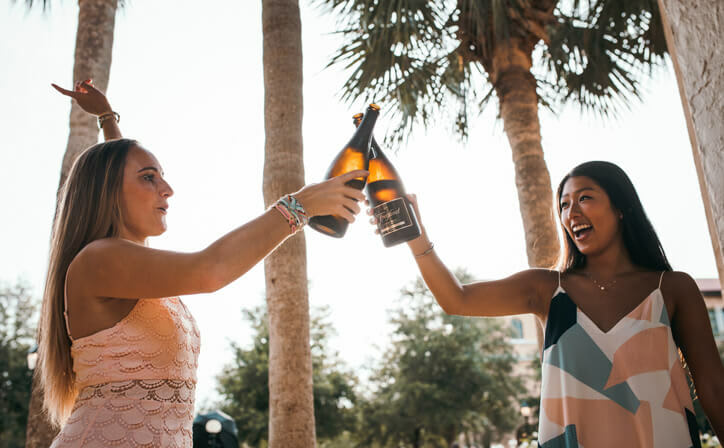 The city offers a range of dining options like quirky cafes, food carts, seaside diners, fancy International restaurants and sleek bars. Melbourne city sites morning tour with Yarra river cruise.